Flow armor is close to the most minimal style on the market, but offers the security of passing the same standards as motorcycle armor. The low profile is great for riders who wouldn't typically consider wearing armor. With just one strap above the calf muscle these pads won’t restrict quads on multi-hour adventures on the trail. Silicone grippers at the top of the pad prevents shifting and sliding while riding or crashing. Certified to the EN1621-1 standard for motorcycle armor in Europe. 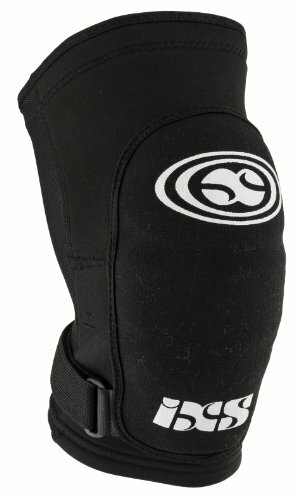 Anti-Abrasion knee pad cover resists tearing. Ventilated and pre-formed X-Matter pad. Aero Mesh is an anti-bacterial material to keep pads from smelling like a hockey bag. Color: Black. Gender/Age: Men's. Size: Large. Protection Area: Knee. Defined Color: Black. Pad Type: Reactive Polymer.